You are here: Home » Ready To Order? We would love to discuss our cookers with you. We promise not to pressure you in anyway to make a purchase. We just don’t work that way. We also don’t want to sell you any additional option that you may not need. 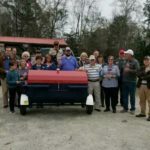 It’s just the way we do business here at Carolina Pig Cookers. When you call, you will always speak to the owner – Elvin Gordon. He will gladly answer any questions you might have regarding our cookers, and will be glad to take your order whenever you’re ready. In order to hold our costs down, we do not operate a showroom. Still, we’d be happy to arrange for you to take an up close look at our cookers. You just need to call to make the arrangements at your convenience. Whether you’re cooking for a crowd, or just a few friends and family, you want a cooker that will get the job done right. We believe we have just what you’re looking for. Each cooker is custom built to your specific needs. Turnaround time is normally 7-10 business days from the day you place your order. Sometimes it might take a few days longer, and sometimes we can get one out for you even quicker. 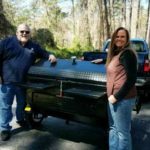 We’ve been custom building our cookers for almost 10 years, have sold thousands of them, and have never had one returned. 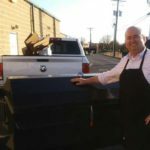 Please give us a call and lets talk about your next grill. You Know You Want One!